Husqvarna T540 XP© II was designed for the high-end top handle saw segment, targeting professional customers like full pro arborists, landscapers, garden contractors and utility services who need excellent performance in combination with the best ergonomics. 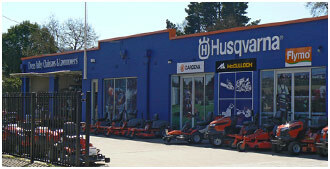 *Trade-in offer is applicable to any chainsaw, regardless of brand, model or working condition. Trade-in model must be complete, dismantled units will not be accepted. Trade-in value must be passed on at time of purchase. Offers valid 01/04/2018 – 31/07/2018 at participating Husqvarna Servicing Dealers only, while stocks last. Husqvarna 550 XP© was developed for professional loggers and skilled land owners. The saw has a ground breaking design and is loaded with innovative solutions for efficient, convenient operation. Our unique X-Torq© engine technology provides more power where you need it, up to 20% less fuel consumption and 75% less exhaust emissions. RevBoost? provides instant high chain speed for extra efficient de-limbing. Husqvarna 550 XP© was developed for professional loggers and skilled land owners. The saw has a ground breaking design and is loaded with innovative solutions for efficient, convenient operation. Our unique X-Torq© engine technology provide more power where you need it, up to 20% less fuel consumption and 75% less exhaust emission. RevBoost? provide instant high chain speed for extra efficient de-limbing. Equipped with TrioBrake. Husqvarna 562 XP© was developed for professional loggers and skilled land owners. The saw has a ground breaking design and is loaded with innovative solutions for efficient, convenient operation with large air filter and the ability to fit 24″ bars. Our unique X-Torq© engine technology provides more power when you need it, up to 20% less fuel consumption and 75% less exhaust emissions. RevBoost? provides instant high chain speed for extra efficient de-limbing. Our most advanced saw for demanding professional use. Lower weight and increased power offers an excellent power to weight ratio. It features our X-Torq© engine that provides high torque over a very wide rpm range, combined with low fuel consumption and low exhaust emission levels. AutoTune always gives optimal engine setting,Smart Start© provides easier starting and Air Injection makes the saw run longer between filter cleanings. A modern large XP©-saw with a very powerful engine. Performance and vibration damping are dimensioned for sawing jobs that require longer cutting equipment. Good ergonomics and comfort make it easy to handle despite its size and high power. Smart Start© facilitates starting and rubber-mounted carburettor boosts durability and smooths operation. One of the world?s most powerful saws. Built for professionals who fell the largest dimensions of trees and extremely hard types of wood. Good ergonomics and excellent power-to-weight ratio. Easy to start thanks to Smart Start©. Equipped with a chain brake, chain catcher and right hand guard for maximum safety, the slim, lightweight body with a high centre of gravity makes it easy to carry and use.